During this trip we spent three full days at EPCOT. 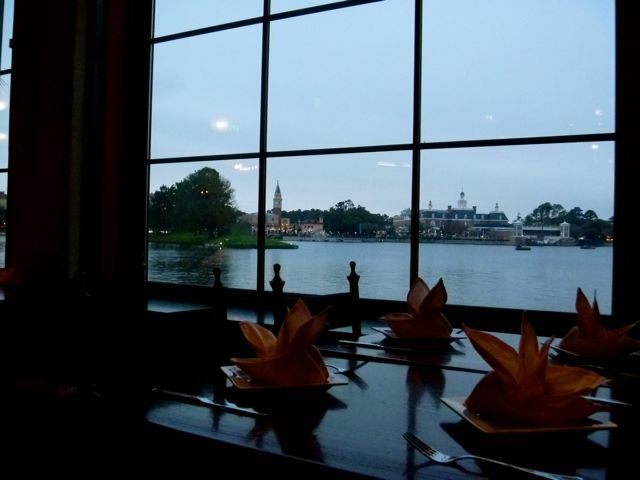 Restaurant: La Hacienda for the taco apps! This was highly influenced by our view at the table! 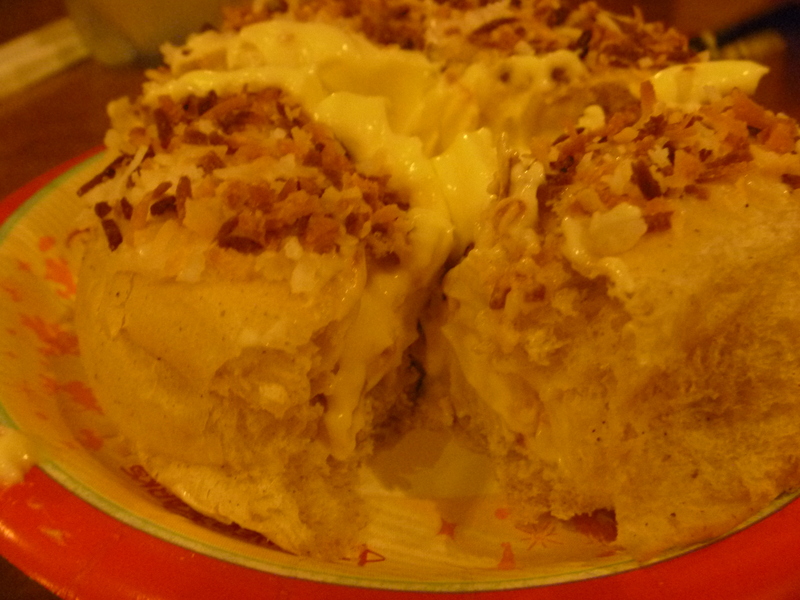 A rich, creamy dessert bread that we dived into a few times! Non Alcoholic Drink non-fat latte from Starbucks! Of course! Character Meet Well, since the meet n greet was insanely long for Elsa and Anna, the only characters our girls were dying to see…and we refused to wait for, we would have to say the Storybook Princesses at the Akershus dinner. This trip the whole experience was pretty fun, and our girls left with some memorable photos and autographs. No, guys, the wait for Frozen was never less than two hours long! Even on the chilly nights…and it was four hours one morning!! Four!! Who are these people waiting in a line for that long!? Place to Chill Out all points in Japan. The views were beautiful and through the arch; it was magical. Though not for Illuminations, where we got stuck there for our kids. Heh They thought it would be fun to stay there..and it was..but not for the view! Next Post Our Disney Favorites at Magic Kingdom in 2014!